"C8V" LEADED GLASS SIDELIGHT BEVEL WINDOW CUSTOM AT GLASS DESIGN. 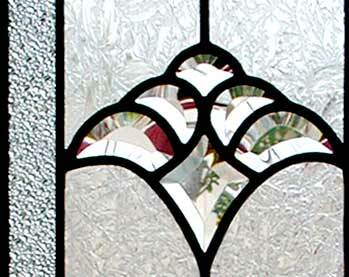 Custom leaded bevel glass sidelight window was 12" x 36". The C8 "bevel set" is 7–5/8" x 6–1/4".